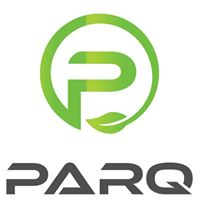 Parksen combats worldwide traffic congestion and pollution through a Green, Smart and Connected City Platform, which utilizes the IOTA and Ethereum blockchain, smart contracts, IoT devices and a real-time parking app. The parking app was developed and connected to 113 cities in the Netherlands, including Amsterdam, Rotterdam and The Hague. We tested the app with thousands of end-users and municipalities across the Netherlands. We received funding to develop a nationwide platform with support from both angel investors and the local governments. Parksen app became available on Apple App Store and Google Play Store for end-users in the Netherlands. Given immediate success, we started conceptualizing the Green, Smart & Connected City Platform and dove into Market Research for global expansion. Idea for ICO took form and the company started preparation. Localized and recruited specialists to aid and assist us with ICO preparation. With a complete team, we continued our ICO preparation, drafted our first official whitepaper and built the ICO website. We have also started the development of the first few Smart Contracts for parking prices and actions. Interested parties are able to participate in our Pre- and Public ICO Sale. Targeting the USA, UK, Europe, and Asia for our first round of Global Expansion, locating new offices, expanding our teams and conducting further market research. Collaborating with third parties and partners towards the creation of innovative IoT devices, which will be integrated in participating cities and connected to our platform. Creation of (micro)APIs and integrating them with Parksen Cloud for easy implementation in our Selected Test Cities, localizing app and services in 5+ different languages. Mapping of parking zones, environmental issues and outdated systems. Selected Test Cities get full access to the Beta of our Green, Smart & Connected City Platform. Extensive testing will follow thanks to close cooperation with local municipalities and end-users. Collecting data, identifying areas of improvement and gathering community feedback. Rolling out the end-product in all of the selected Test Cities after improvements. Continuing to gather data and feedback from the communities and municipalities to ensure a healthy growth of our Platform and Ecosystem. After extensive testing, our Platform and app will be rolled out globally and be made available to all participating cities and their citizens. During this stage we will continue to work on the platform based on feedback from different markets. We will rely heavily on community input to make sure that our product works the way that it should.